When civilization treads carefully around a 130 million years old rainforest, building a vibrant and industrious dwelling, what you get is a country that is a mish-mash of splendid pre-historic landscape alongside modern day advancement. 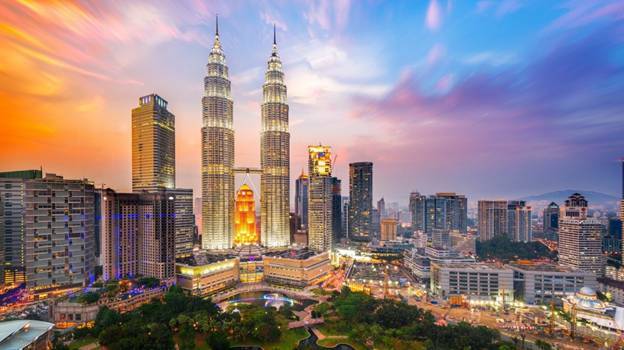 The official tourism slogan of ‘Malaysia – Truly Asia’ can not be more true, since the country has a central location in South-East Asia and is a melting pot of influences from all over the region. The cuisine, the intermingling of raw nature with the native’s zest for progress, the cultural diversity and the landmarks of eras past; there is something to satisfy your travel aspirations, whatever they maybe. A trip to the world’s tallest twin tower is a must when you’re in Kuala Lumpur. An evening at the sky bridge will give you stunning views of the city as it steadily drowns in darkness only to be overtaken by dazzlingnight lights! The gastronomic delights you will encounter at Jalan Alor (popular food street) are about as tempting as they are multi-cultured and diverse. And there is no way you can go back home without stuffing your bags, because Malaysia is a shopper’s paradise. There are10 enormous shopping malls in KL alone with a happening Chinatown where you can find many big-brand replicas at quarter the price. 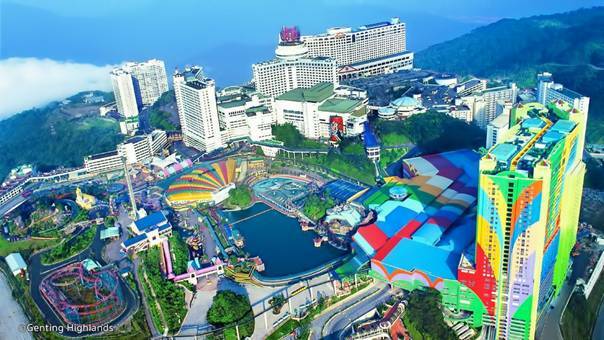 Alternatively, you could spend a couple of days at Genting Highlands away from the hustle and bustle. An hour’s drive from KL, you can get to the resort at the top of Mount Ulu Kali via cable car where an experience of ultimate luxury awaits. Should your visit coincide with the dry season between March to August, a hike up to see the sunrise at Mt Kinabalu will be worth the aching muscles after. Or if you’re into spelunking, how about a stroll through what is claimed to be the largest cave in the world at Gunung Mulu National Park, another UNESCO natural heritage site besides Kinabalu Park. If all else fails, head to Langkawi and take your pick from a thrilling Sky-dive or a tranquil but breathtaking Zip-line adventure over millions of years old forests. Malaysia has well-preserved relics of days gone by. From its colonial past to the multitude of cultures subsisting within, you will have so much to discover with not enough time. 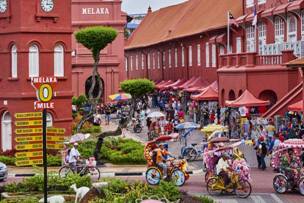 Essential to the itinerary is George and Melaka Town (UNESCO cultural heritage site) for their Portuguese, Dutch and British influence. And the local blend of murals from home artists and exhibits of Malay culture are the cherry on top! 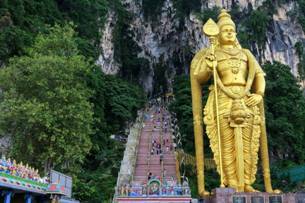 Selangor is another hot-spot where you get to witness the grandeur of the Batu Caves, a Hindu temple with a larger than life statue at the entrance, alongside monkey infested stairs that lead to the entrance of the limestone caves. To really center yourself and become one with nature, wade through the canopy walkway at Taman Negara National Park where the dense foliage lets in a scant few sunbeams. However, that doesn’t detract from the sight of luscious greenery and picturesque scenery. Or maybe the tea enthusiast in you urges you in another direction. In that case, immerse yourself in the serene hills of Cameron where Boh tea is the poison of choice. Along with smooth tea plantations for miles, you can take in waterfalls and mountain peaks as you enjoy your tea, fresh from the farms! 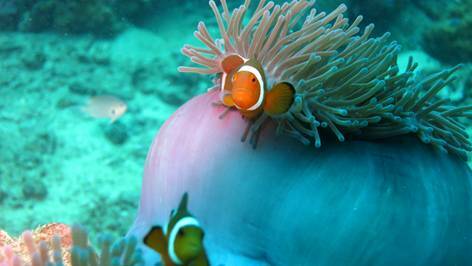 The beauty continues under the sea and you can dive down in PulauPerhentian to catch exotic aquatic life including giant turtles, clownfish and some gorgeous coral reef at the bottom of it all.